I’m sure each one of us has stumbled upon bizarre or surprising things abroad. Different habits, strange cuisines – they can all seem pretty normal to some cultures and to others weird and new. I remember that eating frogs legs in France or Cambodia seemed ridiculous to some of my friends but normal to me because I grew up eating them as there were a lot of Vietnamese restaurants around my neighbourhood. During my time spent exploring the world I’ve seen many new things that were bizarre to me and I realized that other travelers will probably have a lot of fun stuff to contribute as well. I’ll start with a weird, but funny scene I stumbled upon recently in Santa Monica, CA which I found hilarious. 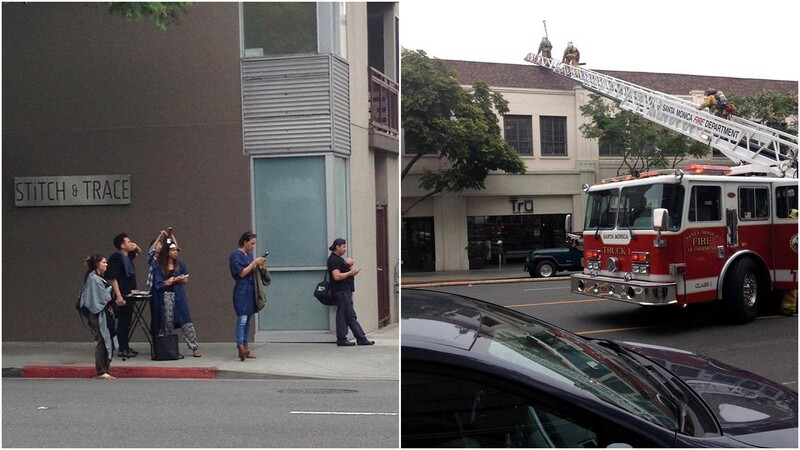 When a fire started at a hair salon, a woman getting a perm done continued with her hair treatment on the street next to the building like nothing was awry while firemen climbed the building. 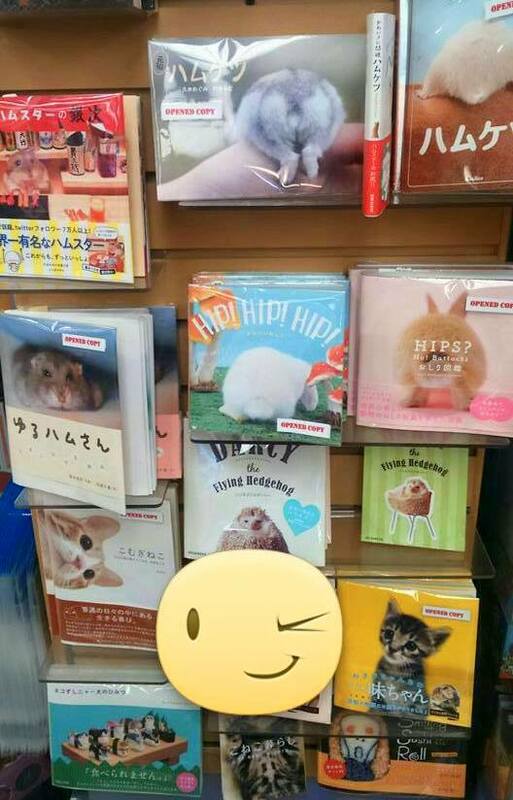 I also found a wide collection of Japanese books in an Little Tokyo bookstore in LA which featured nothing else but photos of cute animal butts or the book in the lower left corner with photos of cats as sushi. Hmm… bless people who buy books with fluffy butts, I guess! Driving the roads of the United States, we often come across strange sights. 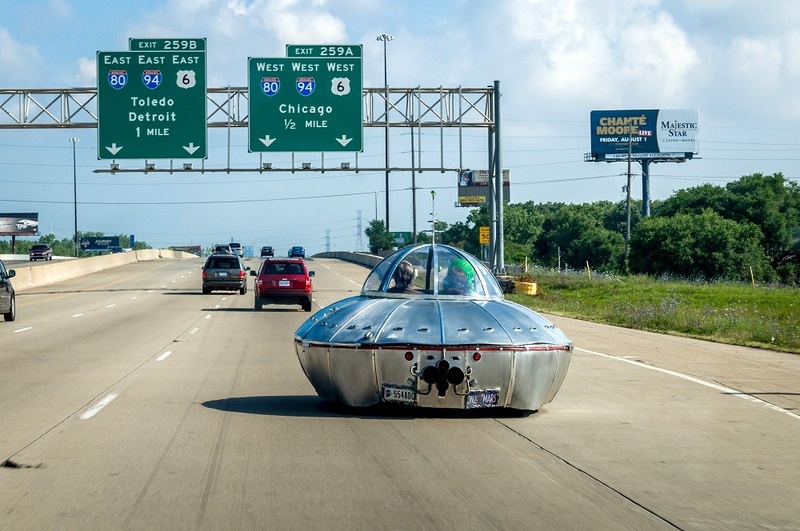 But one of the strangest and weirdest was the time we found a UFO in Northwest Indiana. Seeing a flying saucer is a rare sight and we’re fortunate to have witnessed this strange occurrence! The first is dead guinea pigs in Peru. I had always heard about eating them in Peru, and so when I arrived in Cusco I decided to try. Unfortunately I glanced into the back and saw these guys on a plate. Poor dudes! This photo was taken at a hostel in Granada, now about 10 years ago. I’d booked a private room with a female friend. Little did we know that the hostel only had one private room which was dubbed “the love nest”. It also had mirrors on the ceiling as well as a nice kama sutra painting on the wall. We sure had a few giggles! 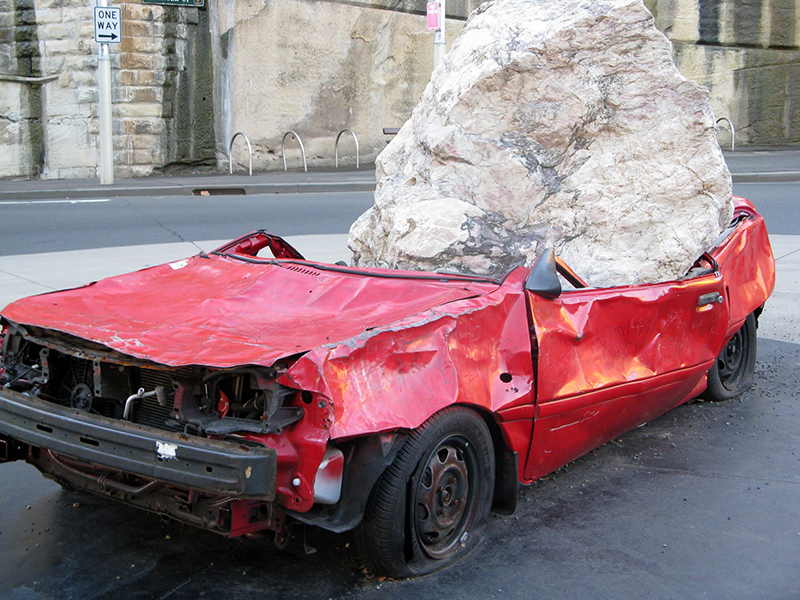 This sculpture is in Sydney, Australia and was created by Jimmie Durham, a Cherokee from Arkansas, and is now on a roundabout. It’s making quite a statement piece. Most of the tourists that take the U-Bahn to Kochstraße go there to see Checkpoint Charlie but they are missing one of the most bizarre landmarks in Berlin just a block away. On the side wall of the Tageszeitung Building on Rudi Dutschke Straße you can see a sculpture called Peace be With You by Peter Lenk. This weird art installation shows some similatiry to Bild’s Editor Kai Diekmann, whose offices are less than a block away. My photo was taken at the Chinese Vegetarian Festival in Phuket back in 2013. The Vegetarian festival that takes place in Phuket. 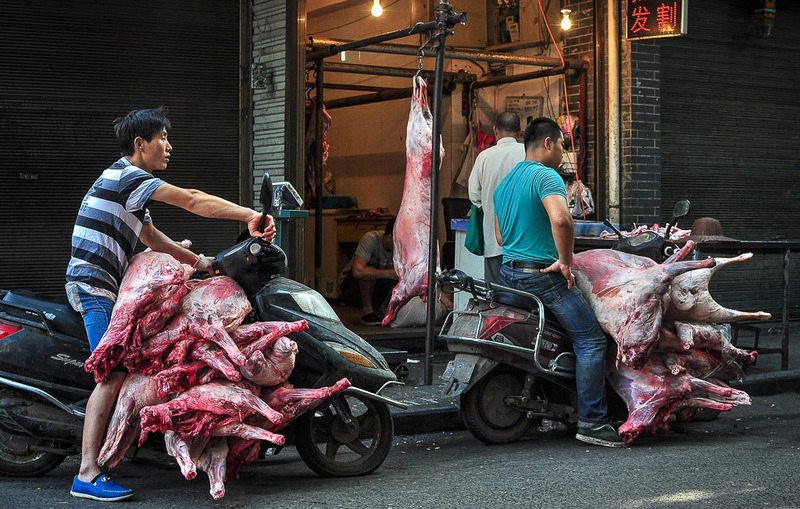 It’s based around the local Chinese community’s belief that not eating meat and other stimulants during the 9th lunar month (October) will bestow good health and peace upon them. 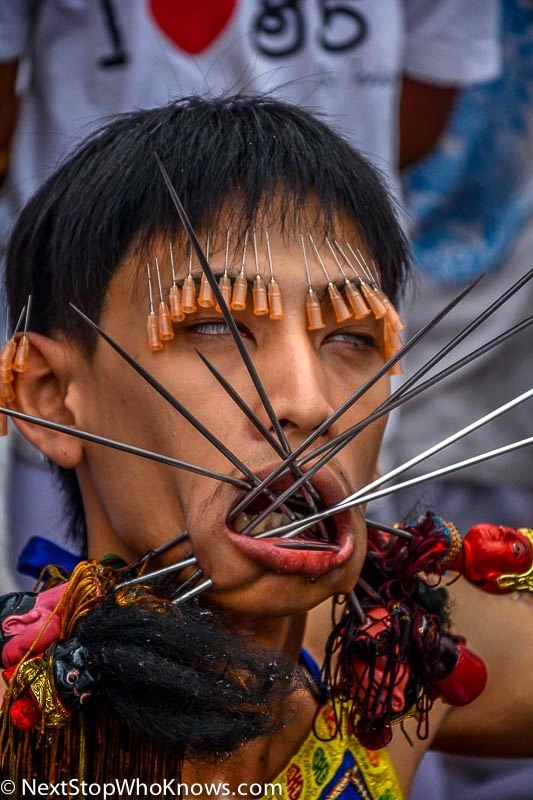 They also believe that sticking objects through their jaw will eliminate any demons from their bodies. 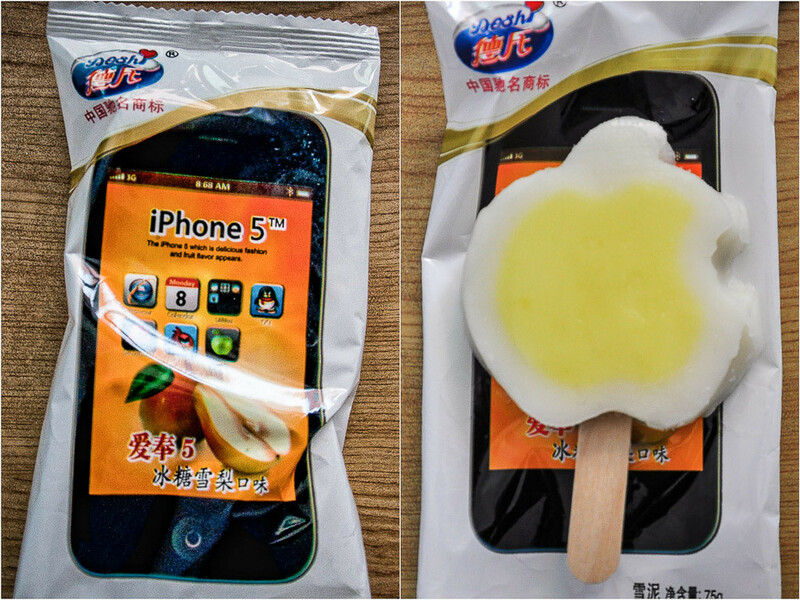 China can surprise a lot… I’m pretty sure these photos speak for themselves. What was the weirdest thing you’ve seen on your travels? Previous Post Warner Bros vs Universal Studios – Which One To Visit? Next Post What to Do in Sarajevo & Why Visit? quite an interesting read this was. 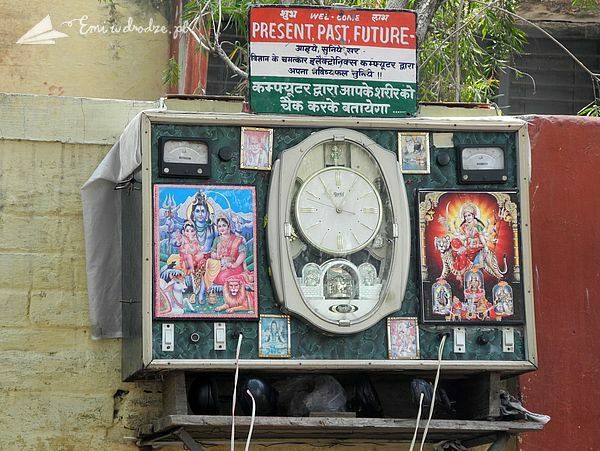 The weird looking time machine from the streets of Rishikesh is apparently a computer machine that will predict your future through some unknown calculations. I have experienced this myself, and still remember laughing my guts out on the results. India is indeed a strange yet colorful nation. The excitement and hospitality in people here is amazing. World never stops surprising me 🙂 Thanks for featuring me! These are great! 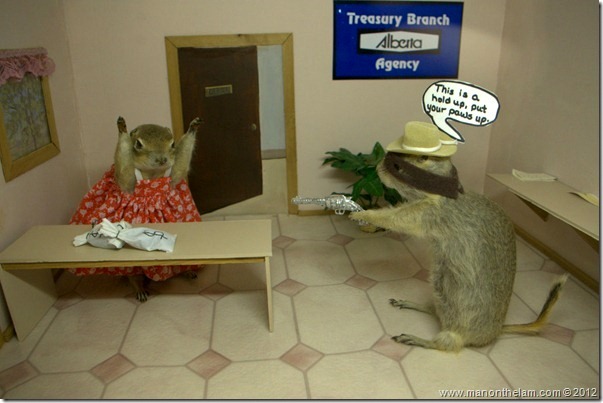 I think the gopher museum is my favorite. Would love to see that one day. 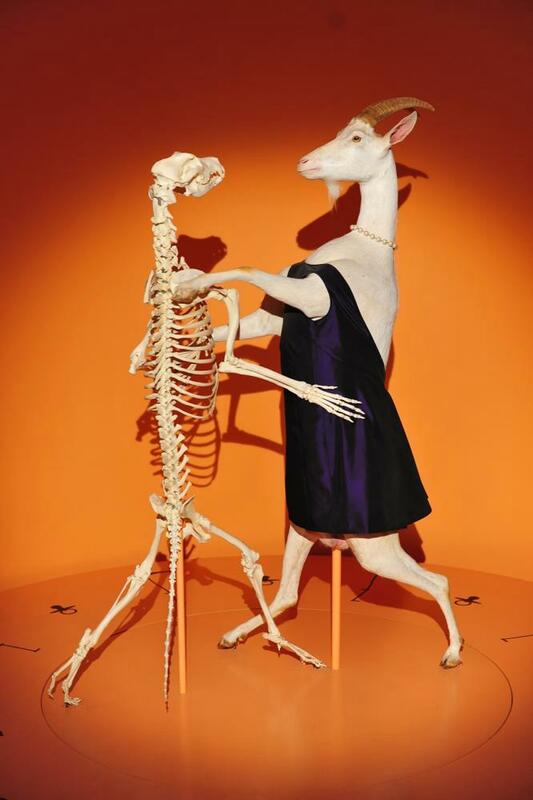 I kind of reminds me of the Peculiarium in Portland – another great weird museum. I’ve never been! What’s inside the one in Portland? 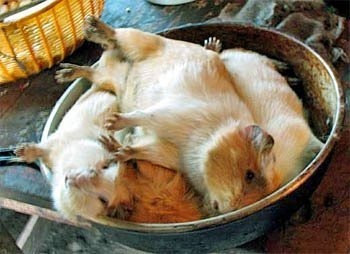 Poor, little guinea pigs! You should post some of aussie big things or mail boxes as well. I had the same impression when I received this photo! Haha – fire, smire, you WILL finish my perm!